An opinionated perspective on spirits, cocktails, mixology, and bars, with an emphasis on teaching. Stalking the TTB: Upcoming U.S. rum releases from... 0 Votes Up! California Rum Festival 2016 in Pictures 0 Votes Up! Rum is made from Sugar. And so are Bourbon, Cognac... 9 Votes Up! Cognac Ferrand’s Paradise at Tales of the Cocktail... 0 Votes Up! Lagavulin Brings its Ultra-Rare Whisky And Stories... 0 Votes Up! Tales of the Cocktail 2016: The Agony & the Ec... 10 Votes Up! Plantation O.F.T.D. Overproof Launch Party in Pict... 2 Votes Up! Inside Bacardi’s National Daiquiri Day Bar Crawl a... 11 Votes Up! OMG! O.F.T.D. and Other Rummy Happenings at Tales... 2 Votes Up! Plantation Launches New Blend – O.F.T.D. Overproof... 0 Votes Up! Bowmore – An Inside Look at the Legendary Islay Di... 2 Votes Up! Laphroaig – An Inside Look at the Canonical Islay... 10 Votes Up! Upcoming U.S. rum releases from Plantation, Hamilt... 4 Votes Up! Lagavulin – An Inside Look 9 Votes Up! Planning your Scotch Whisky Distillery Pilgrimage 4 Votes Up! Essential Highlights of a Scotch Whisky Distillery... 6 Votes Up! E Pluribus Unum: Lost Spirits Confounds Expectatio... 1 Vote Up! Navigating Smuggler’s Cove: Exotic Cocktails, Rum,... 1 Vote Up! At the Bar with Seattle’s Tiki Warrior Justin Wojs... 1 Vote Up! Chasing the Bat: Four Days Embedded In the Bacardi... 1 Vote Up! Cocktail Obsession – Banana Stand, From Seattle’s... 1 Vote Up! The most important rum company you’ve never heard... 8 Votes Up! 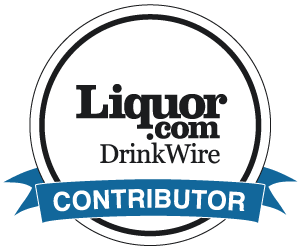 Prohibition Hangover: How the U.S. Three Tier Dist... 11 Votes Up! Cocktail Obsession: Pizzicato Passage 1 Vote Up! Turn Your Daiquiri Up to 11 3 Votes Up! Can Rum Survive Its Moment in the Sun? 1 Vote Up! Hunting American Whiskey Heritage at the Wild Turk... 1 Vote Up! Ron Cartavio – Peruvian Rums That Belong in Your A... 0 Votes Up! Avuá Cachaça: A wonky introduction to Brazil’s nat... 0 Votes Up! Roaming through the Buffalo Trace Distillery 0 Votes Up!